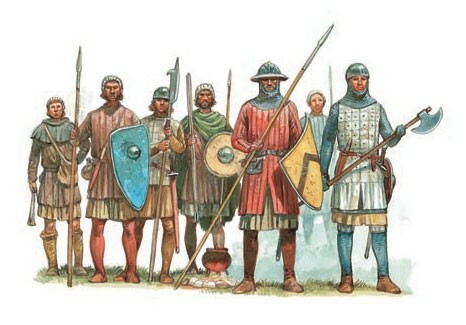 Finally, the army, such as they had, moved out of Caerleon and headed for Salisbury. That got reported as the place where the rebels waited. Arthur and Gerraint got the impression that the rebels hoped to come up and lay siege to Caerleon, but Arthur’s men began to show up much sooner than the rebels expected, thanks to the sixty-day deadline, so that idea got abandoned. Arthur understood, but shook his head. There had to be a better way. The plain of Salisbury was what it was called, mostly a flat, open plain; but there were still plenty of groups of trees here and there that punctuated the landscape, and they were covered with multi-colored leaves, it being autumn. The eleven Lords set their camp at the top of a rise which appeared something like a shallow ridge with a gradual slope. They brought their many men to the bottom of the rise for battle and stuffed them between the two woods that flanked the ridge on either side, making the battle line about ten men thick. Gerraint only half listened. His eyes turned back, searching for the men from Cornwall and Lyoness. He wrote letters, personally, and spoke most kindly to Marcus, his stepfather, but no one came. He felt depressed. Gerraint felt bad for three seconds as he trotted up beside Arthur who waited out in front of the footmen. Peredur followed Arthur and Ederyn came with Percival. “Pelenor is being stubborn,” Gerraint said, as fifty squires but few of the Lords showed up at the front. “He will come around,” Arthur said with full confidence that this would work. “Pinewood has the big group of horsemen in the woods on the right. Bogus and Dumfries poisoned the horse feed in the smaller group on the left. “Poison?” Percival did not like the way that sounded. “I hope none of the hunters gets killed,” Percival said, softly. Gerraint felt the same, but again made no comment. Instead, he actually stood up on the back of his horse like a crazy teenager and he shouted as loud as he could. “Never let it be said that on this day, the squires showed more courage than their Lords.” He plopped back down in time to hear Arthur yell. “Lances.” The movement looked pretty ragged, not exactly military precision, but it only took a moment for the boys to have the sharp end pointed at the enemy. “Get a good grip,” Arthur added. Arthur just said, “Charge!” The boys screamed and shouted as the horses quickly worked their way up to full speed. “What? 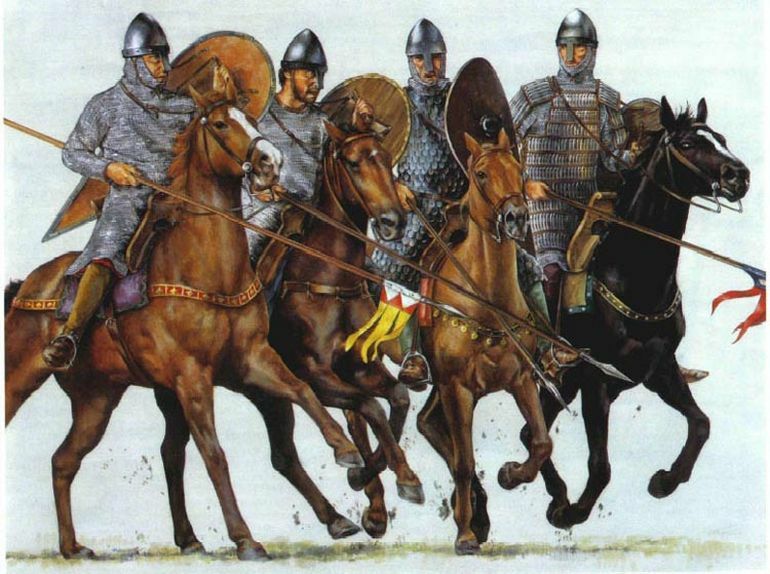 What?” To his credit, Pelenor became the first of the mounted Lords to follow, one step ahead of Meryddin, and he caught up with the boys on their slower nags. Gerraint saw the enemy line of footmen waver. They were not sure what was coming, but when they saw all the sharp points headed in their direction, and not knowing that these were not full grown men, they broke and ran. Some started to climb the rise, but they could not climb that shallow rise as fast as a horse. Many men got cut down, some in the back, and mostly by the Lords who followed with their swords drawn; but most of the enemy ran for the trees to either side which made it impossible for any horsemen there who might have been thinking of riding out. 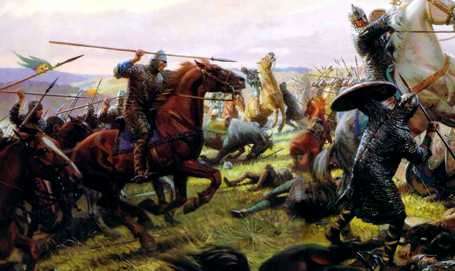 By the time Arthur’s foot soldiers arrived, there seemed little for them to do other than take prisoners, and more than one remarked on how good it was to see the horses go first for a change. The horsemen in reserve put up no struggle, but a few of them tried to escape. Pelenor and Meryddin were right on them, and it all happened so fast, they did not get far. Arthur dismounted at the top. Percival had the flag. Gwillim and Tristam helped him plant it so the dragon could flutter in the wind. “Arthur! Arthur!” Percival started the chant again and the squires joined with a good will. None of the squires had been badly hurt apart from Gwillim’s brother, Thomas of Devon, who took a nasty cut in his leg. Arthur hugged Percival and swung him around like he did when Percival was little. Percival dutifully pretended to get dizzy, but Gerraint interrupted the celebration with a word. Arthur gave Gerraint a mean but happy stare, before he put on his serious face. Bedwyr and Kai were there with some of their men, and they had Loth and seven of the rebel Lords captive. The boys had discussed what Arthur might do if this circumstance arose, but it was mostly to present options. Gerraint well understood that at this point, Arthur would have to decide things for himself. When Arthur walked over to the men, Loth went straight to one knee and lowered his eyes. “Pendragon, I was utterly wrong,” he said. “By your ease of victory today, you have proved yourself more worthy to follow in your father’s footsteps than any man alive. 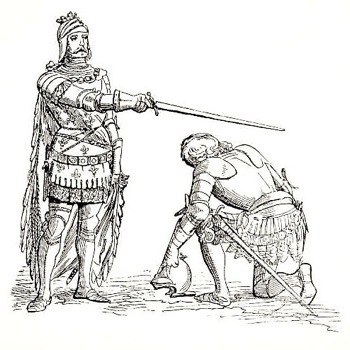 I owe you my head, but I swear by Almighty God, if you spare my life, I do hereby pledge my life, my sword and my land and people to you, whenever you may call and whatever you may need.” Loth kept his eyes lowered and the other seven Lords fell to one knee as well in a sign of surrender. Arthur looked at Kai who smiled and nodded. He looked at Bedwyr who could not hold his tongue. Gerraint nodded. Some had to lose their lives. It made the point that Arthur would not be a pushover. “Hey, you can’t just go off like that. Hey, wait up.” Arthur and Percival both ran after him, and the collected Lords and men laughed softly and grinned a little. For all the wisdom in Arthur, he remained a teenager. Gerraint frowned. Greta could run off. Why couldn’t he? But then he was just a squire after all.